What is the best kids soccer ball out there? I get this question several times every year from parents who are wondering which soccer ball will help their player the most. What if we told you that the best kids soccer ball is …… the one that the young player likes the most.. to an extent, unless they are over 13 years old. Depending on the age of your child, the kids soccer ball size, performance, color, condition, and/or cost won’t matter much at all. 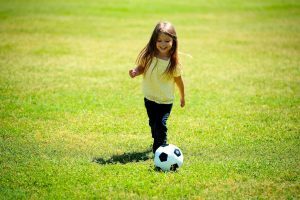 Let’s say that from toddler to about 12 or 13 years old, the best kids soccer ball to purchase will have very little to no impact on your child’s soccer player development. Let me explain. As young kids develop into soccer players, they need something that resembles a ball so that they can begin to manipulate it with their feet. 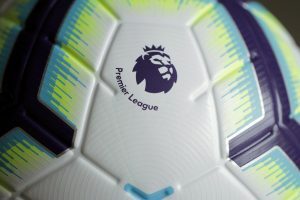 They don’t need a high cost soccer ball with the best performance because they won’t be playing in the Premier League anytime soon. What the young soccer player needs is a simple soccer ball that is small enough for the kids to control. Some players will even use a tennis ball as a soccer ball, because they are improving their development. 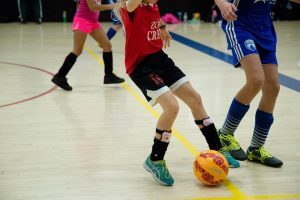 The focus is on the development of techniques, this is why the kids soccer ball performance doesn’t matter much or at all at this young age. Some players around the world grow up playing with different balls. Some players are so poor that they make their own ball out of rags. Some kids use a soccer ball with a hyde cover because of the terrain where they train and play. Check out this ball that is used in the dessert areas of Northern Mexico and Southwestern United States. 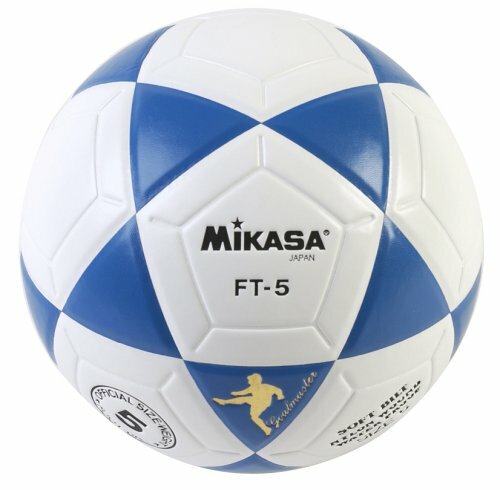 This kids soccer ball is constructed with a patented Mikasa Hyde cover and nylon-wound that helps performance on the hard surface of Arizona and Northern Mexico where grass grows very little. The best kid’s soccer ball is the one that the young soccer player loves. Once the player falls in love with the ball, he/she will begin to play more often. That’s how the kids will improve their game, by playing more often. So, this should be a relief to any parent, don’t spend too much time wondering if your kids have the best soccer ball. Instead help your kids identify a ball that they love and will play with. That ball will be the best soccer ball for your kid. The cost, performance, bounce, color, or look should only be used for older players. Once the young soccer player has developed, can control the soccer ball, and knows how to shoot and pass, then you can focus on the performance of the kids soccer ball. This is when the cost and size will start to matter. By age 13 the kids will need a size 5 soccer ball, inflated correctly with the correct PSI, and with a true bounce. This will allow the kids to practice soccer specific specialty kicks, dribbles, shots, passes, and even headers. The 13-year-old will begin playing with a size 5 soccer ball for the rest of their life. They should start getting used to playing with a good soccer ball. At this point the best soccer ball will depend on the level of play your son or daughter want to or aspire to play at. If your young soccer player plays at a high level, an investment on a premium soccer ball is a good idea, however not necessary. 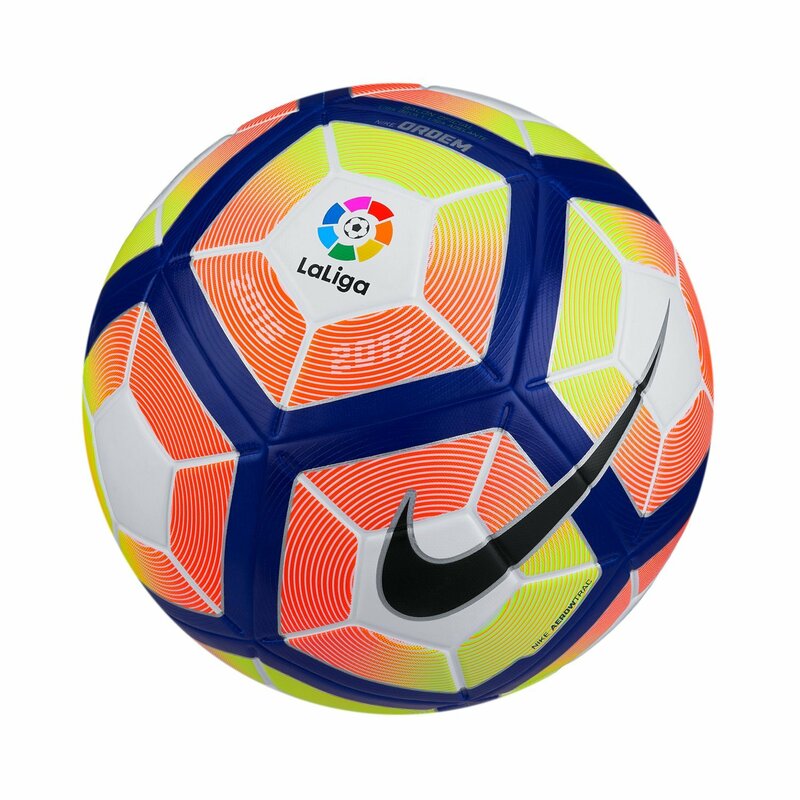 Keep in mind however that most of the high-level soccer leagues will also be playing with very good high level soccer balls which will have a true bounce, correctly inflated, and designed for high performance. 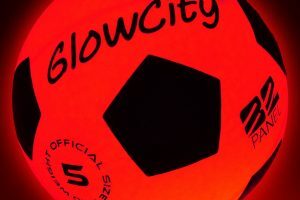 So what exactly does a “premium soccer ball” do and what should you look for when purchasing a premium soccer ball? 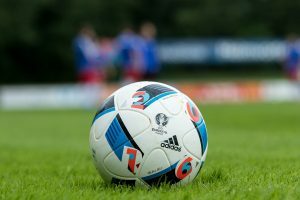 A synthetic material called Polyurethane (PU) is used to cover the bladder of a soccer ball. Adidas did away with the leather back in 1994. I remember playing with those balls, they hurt when you go up for a header. 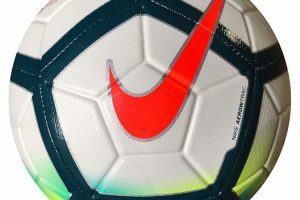 There is good news though, since the soccer ball cover was changed to PU, the performance of the ball improved. It’s mostly due to water absorption of the soccer ball cover, there is less. Plus the ball is bouncier and you can kick it longer without braking your ankle. Anyway, look for a PU Soccer ball cover when purchasing a kids soccer ball. These are mostly for younger kids soccer balls, but be careful. 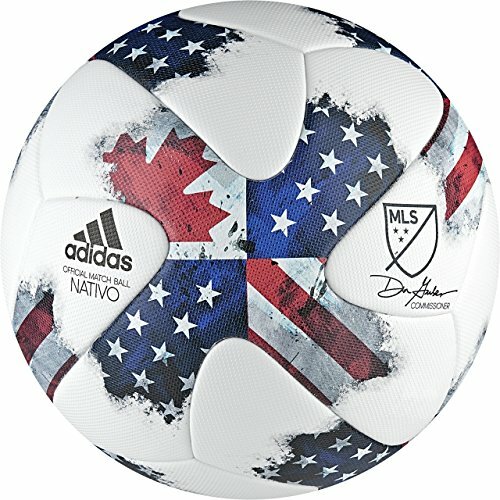 As stated earlier, if your soccer player is under 12, this probably won’t matter much, but no premium soccer ball will be made of PVC or Plastic. These are typically less expensive soccer balls so you should be able to tell the difference. The premium soccer ball will hopefully have a latex bladder. This is the standard for a quality soccer ball. 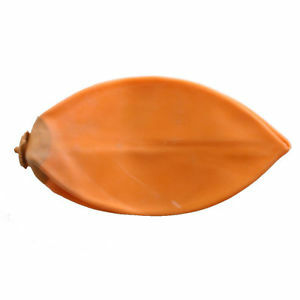 The latex ball bladder helps the ball feel softer and it keeps its shape better. A premium soccer ball with a latex bladder feels like magic on your feet. Gives the kids soccer ball a true bounce, soft touch, and you feel like you can kick the soccer ball a mile! The Butyl bladder in a soccer ball does almost the opposite. The Butyl bladder makes the ball feel harder and heavier. So why would anyone manufacture this ball…? Well because it is less expensive and retains the air a little longer. These balls are still great for training and if you can’t afford a higher priced soccer ball. 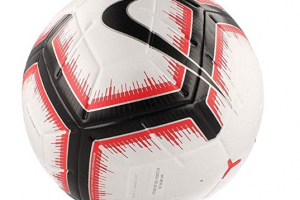 But if you are looking for a premium soccer ball, look for the latex soccer ball bladder. 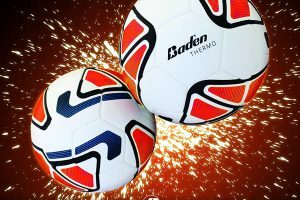 The soccer ball manufacturer of your kids soccer ball probably won’t matter much since most of the big soccer ball companies do a great job. There are the three giants in sports equipment and specifically kids soccer balls, Nike, Puma, and Adidas. There are other strong players in the kids soccer ball industry like Mitre, Brine, Wilson, Mikasa, Under Armour, and Select. Nike and Adidas own the majority of the market. Brine and Wilson have a strong presence in High School Soccer. While Mitre is making a comeback recently with great quality soccer balls and futsal ball. Under Armour is fairly new, but also have a pretty strong presence and probably growing in the kids soccer ball market. At this point you will find very high premium match balls with Select, Brine, Wilson, Nike, Adidas, and Puma. 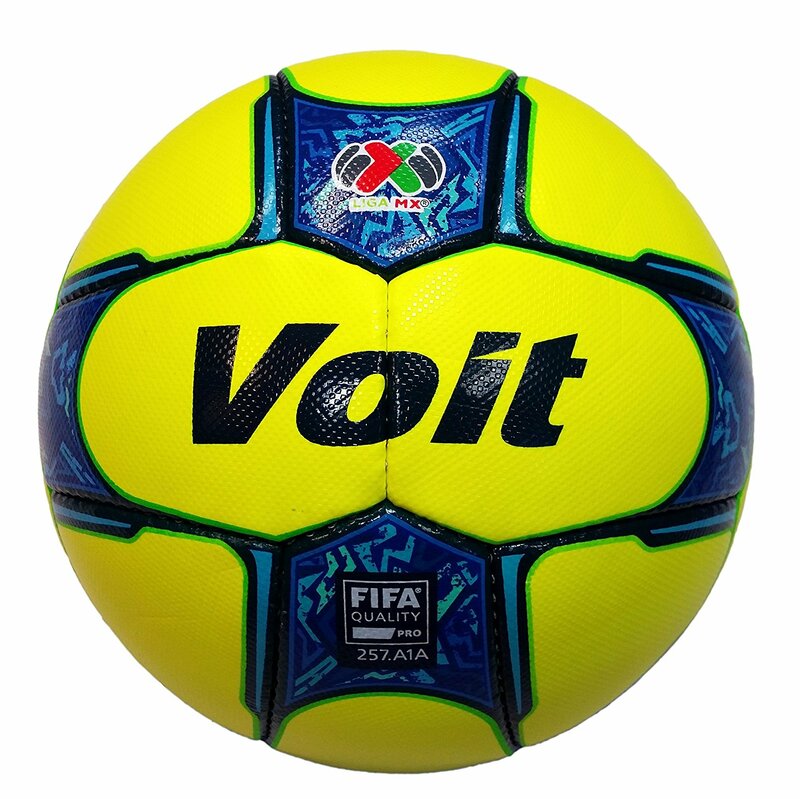 Voit is the current official soccer ball manufacturer of the Liga MX in Mexico. They are also making a small comeback. The price of a good quality premium kids soccer ball size 5 is probably between $70 and $150, and sometimes even more depending on the soccer ball company. What does “FIFA Approved” really mean? FIFA Approved and FIFA Inspected are both good things to look for in a kids premium soccer ball. FIFA has these two standards which are basically tests that they put the balls through to inspect their quality. Rebound - must bounce consistently. Water absorption - this test turns and squeezes the ball in a tank of water 250 times. Absorbed water cannot add 15% to the initial weight of the ball. Loss of pressure - must retain pressure for a 72-hour period. The 7th test or step for a FIFA Aproved ball is a Shape and Zize retention test. The FIFA Approved ball must also pass the 6 tests mentioned above, but at a higher more stringent level of course. The FIFA approved soccer ball must retain the shape and size for a longer period. 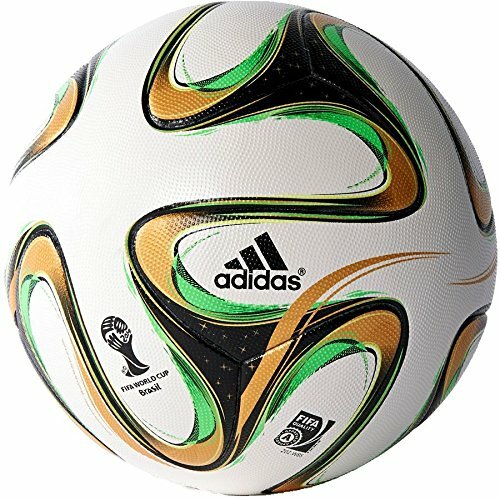 Let me tell you what I did, we purchased the 2012 Adidas Jabulani soccer ball which was the official ball for the 2012 World Cup. 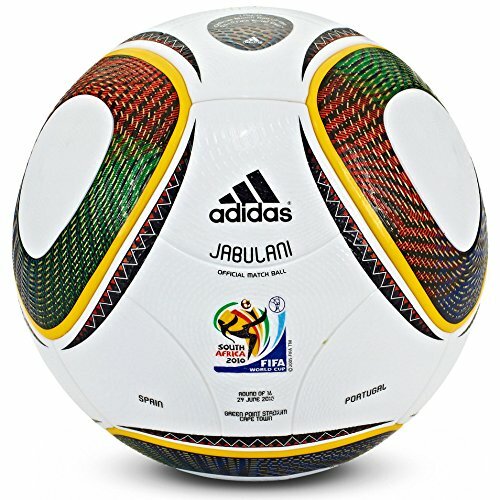 The Jabulani premium soccer ball was $147.00. The premium soccer ball has now lasted over 5 years and it still maintains its shape and size, bounce, roundness, circumference, rebound, weight, and loss of pressure. It was a great investment and the Jabulani soccer ball is still a premium match ball today. To ensure you are buying a premium soccer ball, make sure you find the FIFA Approved logo or statement on the soccer ball. This will ensure that you are purchasing a true premium soccer ball. 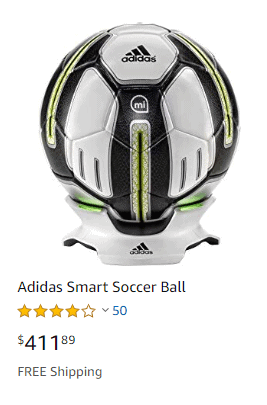 To buy the best soccer ball for your kids, go to Amazon.com and use the keywords mentioned above. If you want a premium soccer ball, you will find it here (I did the work for you just click on the links). But remember that it’s not necessary to buy a premium match soccer ball for a young child. If you want a soccer ball for kids under 12, your best option is probably to head out to your local super market or at Amazon and just buy a regular soccer ball. 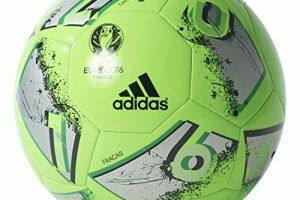 You can use the keywords we use above to look for the best one that will fit your needs depending on the soccer ball size and quality you are looking for.